Missouri Head Football Coach Barry Odom has added Joe Jon Finley to his new coaching staff, as announced today. Finley will serve as Mizzou’s tight ends coach, a position in which he was an all-conference performer in his playing days for the Oklahoma Sooners and has helped coach for several seasons at the Power Five level. 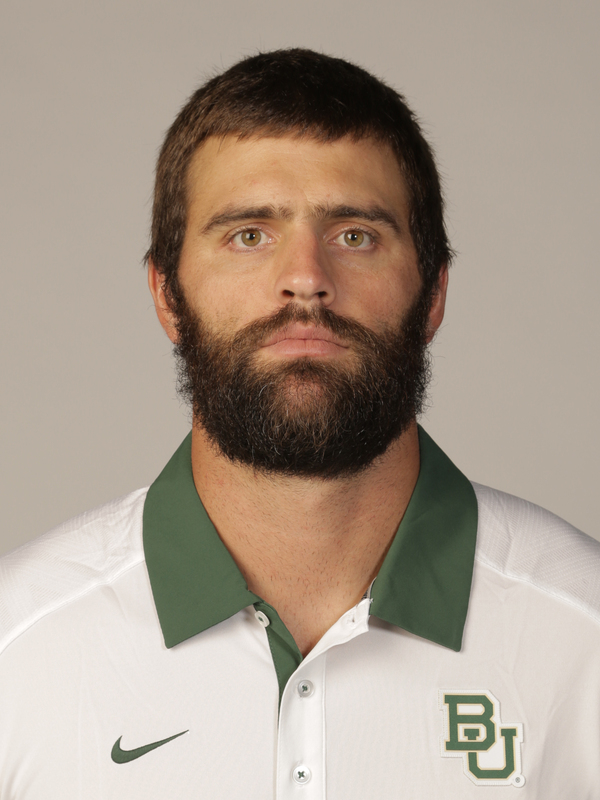 He spent the 2015 season on the coaching staff at Baylor, where he worked extensively with the tight ends as an offensive quality control specialist. This past season, the Baylor offense was among the most potent in the nation, as the Bears led the country in both total offense (616 ypg) and scoring (48.1 ppg), while ranking in the top-25 nationally in numerous other categories, just a few of which included rushing (2nd – 327 ypg), passing efficiency (3rd – 171 rating), fewest sacks allowed (15th – 1.1 per game), 3rd down percentage (16th – 46.7%) and passing yardage (24th – 290 ypg). Finley’s appointment rounds out the hiring of Odom’s full-time coaching staff. Details of Finley’s contract will be released once fully executed, along with the completion of human resources procedures. “Joe Jon brings great energy and enthusiasm to our program, he is a winner who has proven himself in a short time to be a valuable asset offensively in run game organization, concepts and teaching,” said Odom. “He has great experience working with the tight end position at a couple of very successful programs, and he’s gone from playing that position at a very high level to carrying that over into coaching. I’m excited about his experience with tempo, as well as his deep ties with recruiting in Texas, where both his father and brother have been high school coaches. His knowledge of that area, as well as his prior relationships with our staff make him a great fit for what we’re looking for,” he said. Finley has ties to three members of Odom’s new staff at Mizzou, as his time at Oklahoma as a player (2003-07) and staff member (2012-13) overlapped with current MU offensive coordinator/quarterbacks coach Josh Heupel (coached at OU from 2003-04, 2006-14), current MU defensive line coach Chris Wilson (coached at OU from 2005-09) and current MU safeties coach Ryan Walters (coached at OU in 2012). “I’m thrilled to have this opportunity at such a great university and with a program that I believe is going to do big things,” Finley said. “I’m very excited to get to work with Coach Odom and the staff he’s put together. I’ve known of Coach Odom for a long time, I’d heard about him and his family growing up and I’m very excited to be part of his team. I can tell he’s going to bring great energy and work ethic to the table for this staff and program. I’m also looking forward to working again with Josh Heupel. I know what kind of worker he is and the mind he has, he’s done nothing but win everywhere he’s been. It’s a great step for me at a great place and I can’t wait to get to work,” he said. Following his playing career at Oklahoma, Finley spent parts of five seasons with the San Francisco 49ers (2008-10 practice squad), Detroit Lions (2010-11) and Carolina Panthers (2012 training camp). He was activated to the 53-man roster for the Lions during the 2011 season. After being released from the Lions in 2011, he started his coaching career at Los Fresnos (Texas) High School, where he assisted with the offensive line under head coach and older brother Clint. After spending time in training camp in 2012 with the Carolina Panthers, Finley got back into the coaching side, as he became an offensive graduate assistant (quality control) for his alma mater Oklahoma. At OU, he assisted the tight ends/tackles coach in every facet of the job, and assisted in game planning for Heupel as the Sooners posted a 10-3 record, shared the Big 12 title and earned a berth in the Cotton Bowl as part of the 2012 season. Oklahoma followed with an 11-2 season in 2013, which included a 45-31 win over #3 Alabama to cap the season in the 2014 Sugar Bowl. He spent the 2014 season back at Los Fresnos High School, before joining Baylor for the 2015 campaign. Los Fresnos reached the third round of the state playoffs in 2014, marking the deepest post-season run in school history. Finley was a standout tight end at Oklahoma, where he was a four-year letterman for the Sooners, and part of three Big 12 championship squads (2004, 2006 and 2007). He totaled 775 yards and 10 touchdowns on 62 career receptions in 50 games. He captained OU’s 2007 Big 12 championship team which finished ranked 8th nationally, and was on the 2004 Big 12 title squad that played in the BCS Championship Game. He earned All-Big 12 honorable mention acclaim as both a junior and senior, and went on to earn a Bachelor of Arts degree from OU in 2008.